It is sometimes helpful to treat the phase as if it defined a vector in a plane. The usual reference for zero phase is taken to be the positive x-axis and is associated with the resistor since the voltage and current associated with the resistor are in phase. The length of the phasor is proportional to the magnitude of the quantity represented, and its angle represents its phase relative to that of the current through the resistor. 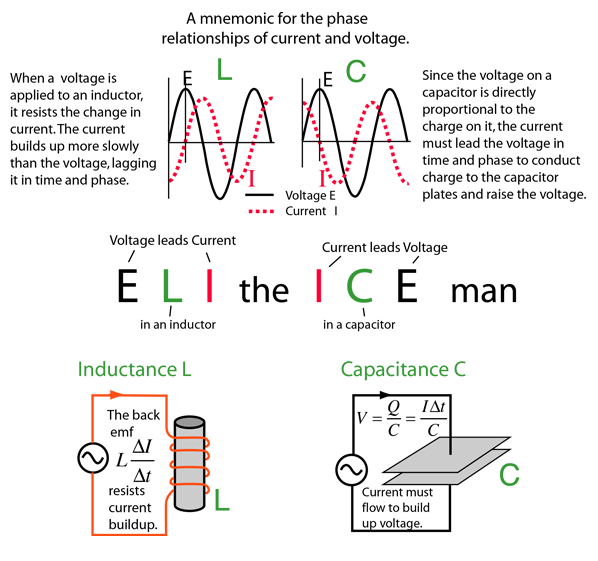 The phasor diagram for the RLC series circuit shows the main features. Note that the phase angle, the difference in phase between the voltage and the current in an AC circuit, is the phase angle associated with the impedance Z of the circuit.